What are the VA Aid and Attendance Asset and Income Requirements? How much disability is required for a Claimant to receive the Aid and Attendance Pension? Read more about Aid & Attendance in an article written by Attorney Kevin Pillion in the September 2013 issue of CPA Today. There are now over 25 million US veterans eligible for of VA benefits. Most believe they are only entitled to benefits if they were actually wounded or disabled while they were serving in the armed forces. Few vets realize that VA special pensions exist, including the Aid and Attendance Pension (and their local VA office won’t tell them about it!). Many vets are battling chronic conditions and struggling to pay for their care. VA special pensions are just one tool that an elder care attorney can look to when helping people plan for their long term care needs. While you struggle to provide dignified long term care for a wartime veteran or surviving spouse, we can help you understand what the options are and how to access under-utilized benefits available to veterans. Aid and Attendance is a “special monthly pension” available to wartime veterans or surviving spouses of wartime veterans. Aid and Attendance is not a stand-alone benefit, but is awarded on top of either the “service” benefit or the “housebound” benefit. VA Benefit Rates. The veteran or surviving spouse must first be eligible for the “service” benefit. That requires the basic qualification by the veteran of having served at least 90 days of active military duty, at least one of those days had to be during wartime (as defined by the Veteran’s Administration) Click here for the listing of wartimes. and having received a discharge that was other than dishonorable. Most veterans, of course, received honorable discharges. Additionally there are many people who served in capacities that were not specifically in the Army, Navy or Air Force who are included when considering VA benefits. Click here for a list of qualifying services. Next the veteran or surviving spouse must have a permanent and total disability or be over 65. Amazingly enough, the VA rates all veterans over the age of 65 as “permanently and totally” disabled. 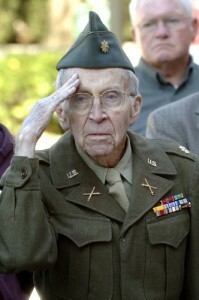 For veterans under the age of 65, permanent and total disability includes: a veteran who is in a nursing home; rated as disabled by the Social Security Administration; unemployable and reasonably certain to continue so throughout life; or suffering from a disability that makes it impossible for the average person to stay gainfully employed. Once these initial hurdles have been cleared, the veteran or surviving spouse may additionally be entitled to , the additional Aid and Attendance pension. Please remember that Aid and Attendance is a level of pension and there is no requirement of a service-connected disability. Click here to print our free guide to 7 Things You Need to Know about the VA Aid & Attendance Benefits. There is no specified income limit for VA pension benefits. As opposed to just looking at gross income, the VA considers what it refers to as IVAP (income for VA purposes). IVAP is equal to a claimant’s gross income from all sources less countable medical expenses. If a claimant’s IVAP is equal to or greater than the annual benefit amount, the veteran or surviving spouse is not eligible for benefits. The claimant must show that he or she requires the “aid and attendance” of another person in order to perform some of the basic activities of daily living. The medical evidence must be provided by a physician. Additionally, if the claimant resides in a facility, then the facility must also provide a letter stating that the individual resides in the facility because of the need for assistance with the activities of daily living. 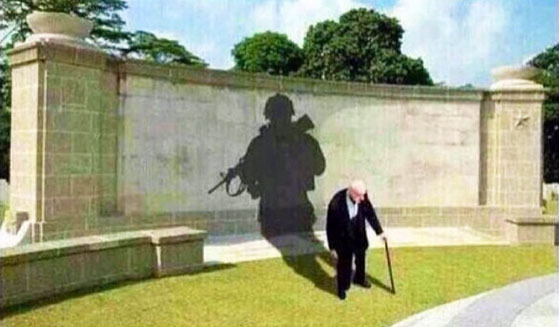 One of the great beauties of the VA pension is that it can be used for any type of chronic care providers including: in home paid caregivers, personal care homes or assisted living facilities, adult day care or skilled nursing facilities. If you meet all the criteria for a service pension you still have to go through the application process. The VA pension application process makes the Medicaid application process look simple. The VA pension application is very long and asks for many pieces of supporting documentation: everything from military discharge papers to bank statements to marriage certificates to divorce decrees to death certificates to proof of the level of disability. Once the actual application is completed and filed with the VA , the process, in general, is painfully slow – on average the process takes six to nine months. However, the benefit is retroactive to the month after the application is submitted . It is very important to have all papers together at the time of application in a “ready to rate” format. Also when dealing with applications, remember that it is illegal for anyone to charge a fee for completing an application. The submission of the VA claim form or Medicaid application. Beware, some actions taken to qualify for VA benefits may create a penalty period later when you need to qualify for Medicaid! !